Gold has served as a source of wealth since ancient times. From the days of antiquity, man has valued the unique beauty and rarity of gold. It is used as a form of money but also is important in industry, jewelry, electronics and dentistry. 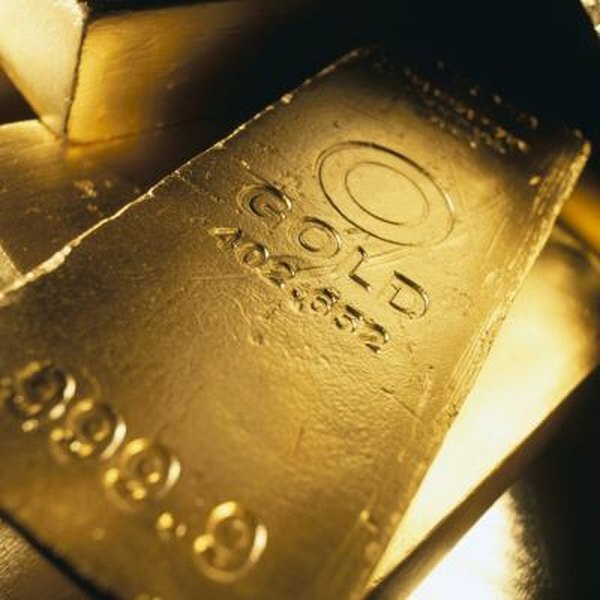 You can own or control gold in various forms: coins, bars, gold mining stocks and futures. COMEX gold futures are contracts that specify the future delivery of gold for a preset price. These futures can be used to speculate on gold’s price or hedge against lower prices on gold you already own. The Commodity Exchange, Inc., or COMEX, is a division of the Chicago Mercantile Exchange. Futures contracts are highly standardized and always trade on a futures exchange. You buy a gold futures contract because you want to lock in the price for the future delivery of a stated quantity and quality of gold. You benefit if prices rise above the contract futures price, but the contract seller benefits from lower prices. You purchase futures contracts on margin and must keep a relatively small cash deposit in a brokerage account to serve as collateral. Each COMEX gold contract controls 100 troy ounces of at least 995 fineness gold. If gold is priced at $1,700 an ounce, a gold contract is valued at $170,000. You deposit $6,600 in your margin brokerage account to purchase or sell each futures contract. After opening your position, you need to maintain at least $6,000 per contract in your margin account. The minimum price fluctuation on a COMEX gold futures contract is $0.10 per troy ounce. Gold contracts are tied to a contract delivery month. The COMEX delivery months available are the current and next two calendar months, and “any February, April, August, and October falling within a 23-month period; and any June and December falling within a 72-month period beginning with the current month” according to the CME. For any given delivery month, the last trading date is the third last business day of the month. On that day, the contract value merges with the day’s spot, or current, price of gold. The COMEX gold contract specifies physical settlement. The seller delivers 100 troy ounces of 995 fineness or better gold to a licensed depository on an agreed date within the delivery month. You can choose to receive one 100 troy ounce bar of gold or three one-kilo bars. The gold must be from a producer approved by the exchange and be accompanied by a certificate from an approved assayer. Of course, if you do not want physical delivery, so you must offset your contract before it expires: a buyer sells an identical contract or a seller buys an identical contract. The two contracts cancel each other out and relieve the trading party of any delivery obligations.